Remote sensing is the science of obtaining information about objects or areas from a distance, typically from aircraft or satellites. 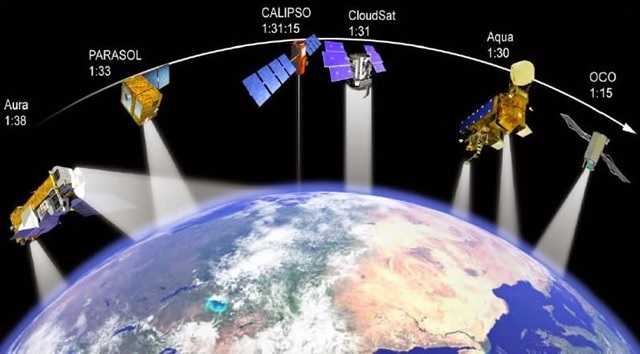 Remote sensors collect data by detecting the energy that is reflected from Earth. These sensors can be on satellites or mounted on aircraft. Remote sensors can be either passive or active. Passive sensors respond to external stimuli. They record radiation that is reflected from Earth’s surface, usually from the sun. Because of this, passive sensors can only be used to collect data during daylight hours. In contrast, active sensors use internal stimuli to collect data about Earth. 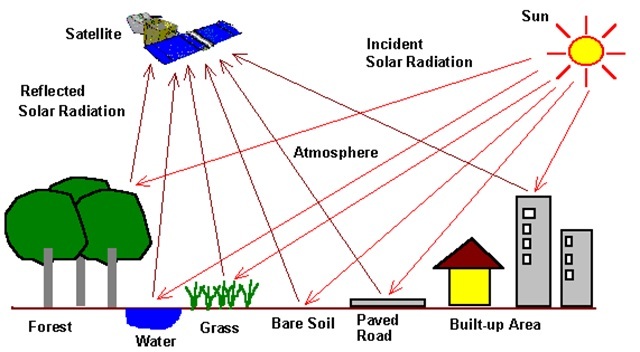 For example, a laser-beam remote sensing system projects a laser onto the surface of Earth and measures the time that it takes for the laser to reflect back to its sensor. Coastal applications: Monitor shoreline changes, track sediment transport, and map coastal features. Data can be used for coastal mapping and erosion prevention. Ocean applications: Monitor ocean circulation and current systems, measure ocean temperature and wave heights, and track sea ice. Data can be used to better understand the oceans and how to best manage ocean resources. Hazard assessment: Track hurricanes, earthquakes, erosion, and flooding. Data can be used to assess the impacts of a natural disaster and create preparedness strategies to be used before and after a hazardous event. Natural resource management: Monitor land use, map wetlands, and chart wildlife habitats. Data can be used to minimize the damage that urban growth has on the environment and help decide how to best protect natural resources. 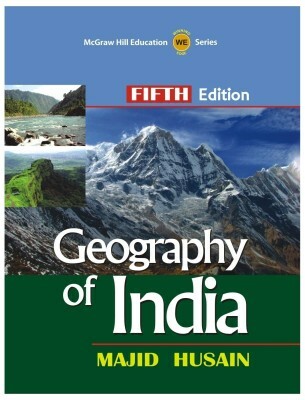 A geographic information system (GIS) is a computer-based tool for mapping and analyzing feature events on earth. GIS technology integrates common database operations, such as query and statistical analysis, with maps. GIS manages location-based information and provides tools for display and analysis of various statistics, including population characteristics, economic development opportunities, and vegetation types. GIS allows you to link databases and maps to create dynamic displays. Additionally, it provides tools to visualize, query, and overlay those databases in ways not possible with traditional spreadsheets. These abilities distinguish GIS from other information systems, and make it valuable to a wide range of public and private enterprises for explaining events, predicting outcomes, and planning strategies.